My friend Rosie is a talented textile designer and for her recent birthday I bought us tickets to hear Jeremy Deller (Turner-prize winning artist and curator of the exhibition) and Fiona MacCarthy OBE ( biographer and cultural historian) discussing the artists William Morris and Andy Warhol who are the subjects of the Love is Enough exhibition which is currently on show at Birmingham Museum & Art Gallery. I must admit that I was a touch sceptical when I heard that these two artists were being shown together, wondering what they had in common and how their works would look hanging next to each other so I was keen to hear Jeremy Deller’s rational behind the exhibition. As we entered we were greeted by a Warhol silkscreen print depicting Joan Collins which was made during the height of her Dynasty fame. The talk itself took place in the exhibition space amongst the series of stunning Holy Grail Tapestries, produced by Morris & Co in 1898. As they are so fragile and light sensitive it was the first time they have been on show in seven years. 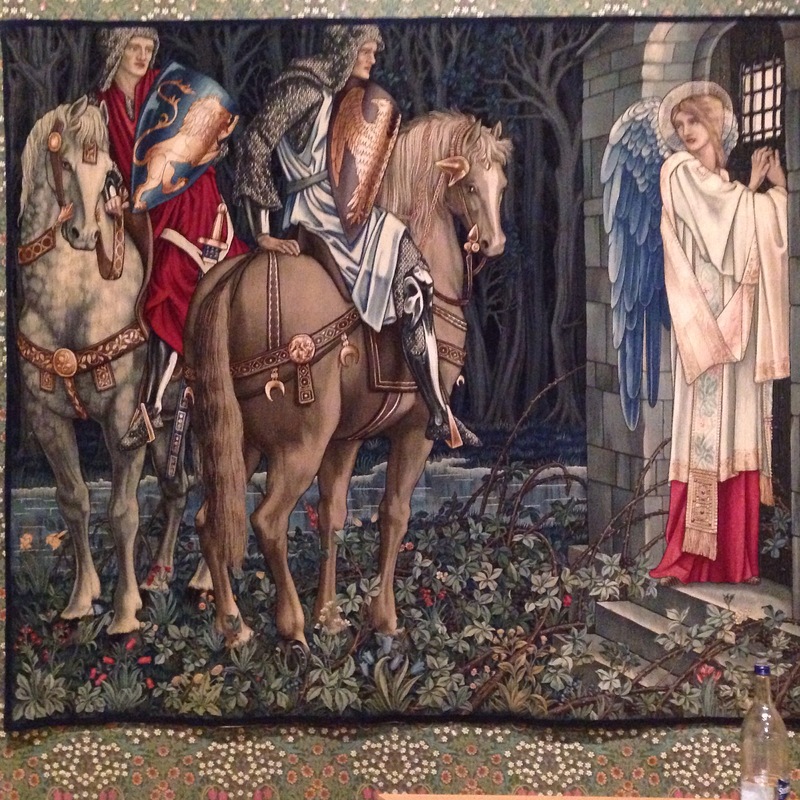 The tapestries which were designed by William Morris, Edward Burne-Jones and John Henry Dearle are the only versions from the Holy Grail series in any public collection. Whilst we were waiting for the talk to begin I was trying to take in the impressive scale and detail of the tapestries and couldn’t get over what fantastic condition they were in and how vivid the colours were considering they are over a century old. It was certainly a magnificent setting for the evening’s discussion. It was interesting to here the parallels between two of Jeremy Deller’s greatest influences -both of whom were sickly as children. We were informed Warhol spent a couple of years in bed with St Vitus Dance and he idolised Hollywood icons who seemed far removed from the industrial Pittsburgh where he grew up. Amongst the items on display is a signed photograph of Shirley Temple that Warhol received aged 13 years old after writing to her. We heard how Morris would ride around in a suit of armour on a pony. Throughout the talk we discovered the conceptual, biographical and methodological similarities between the two artists touching on the themes of Politics, myths, legends and craftsmanship. Although stylistically different both were restless and worked in many mediums.The most obvious parallel between them was they both had the ability to create communities around them making their work as Morris had his factories and Warhol had The Factory, without having all these people around them they simply wouldn’t have produced the works they did. We also heard how Warhol was interested in how the mass production of art would affect the masses and that Morris was keen to advocate his political beliefs, but at the same time uncomfortable about how his work was being produced for wealthy people who could afford it . On a personal note Jeremy Deller told us about his experience as a young man of meeting Warhol. Adding it was something he has only talked about long after the event as early in his career he decided he wanted to be known for his own art rather than as an artist who had once spent time with Warhol at The Factory. Both speakers were enthusiastic about the subjects, Fiona MacCarthy shared lots of interesting facts regarding Morris that she had uncovered from her research for the Anarchy and Beauty, William Morris and his Legacy exhibition she curated at The National Portrait Gallery in 2014 and her book William Morris: A Life of our Time. After the fascinating discussion we had the opportunity to view the exhibition. 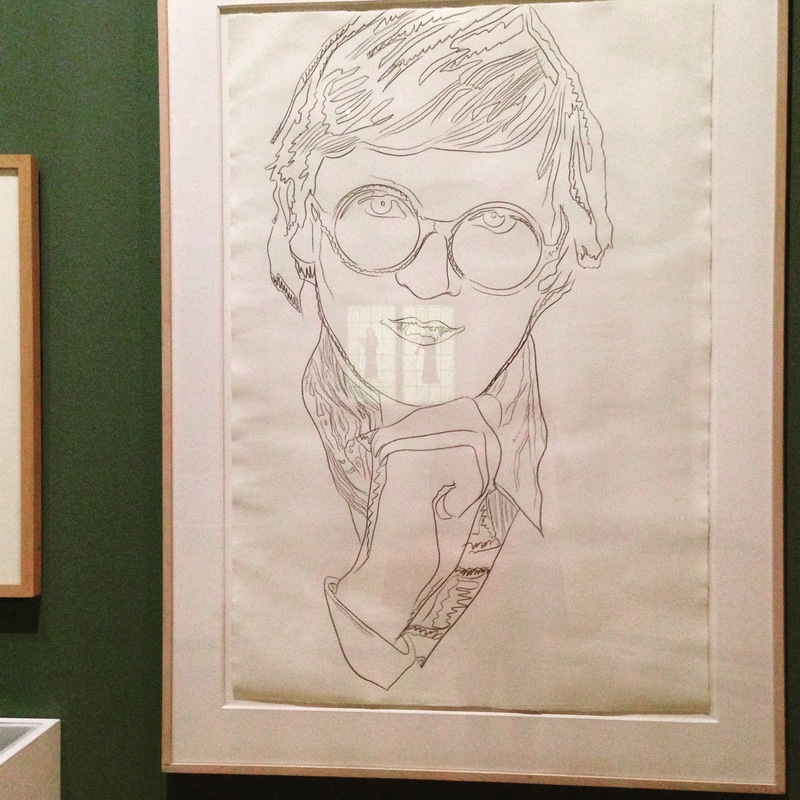 Whilst I’ve been aware of Morris’ prints being used in wallpaper and other decorative items my interest in the exhibition was piqued at the prospect of being able to see some of Warhol’s work as I’m partial to a bit of Pop Art. However it was Morris who stole the show for me. I adored seeing his original drawings and wooden print blocks alongside the completed works. Other surprises were the tapestry/ rug of Marilyn Monroe as it’s not a medium I was aware Warhol worked in. 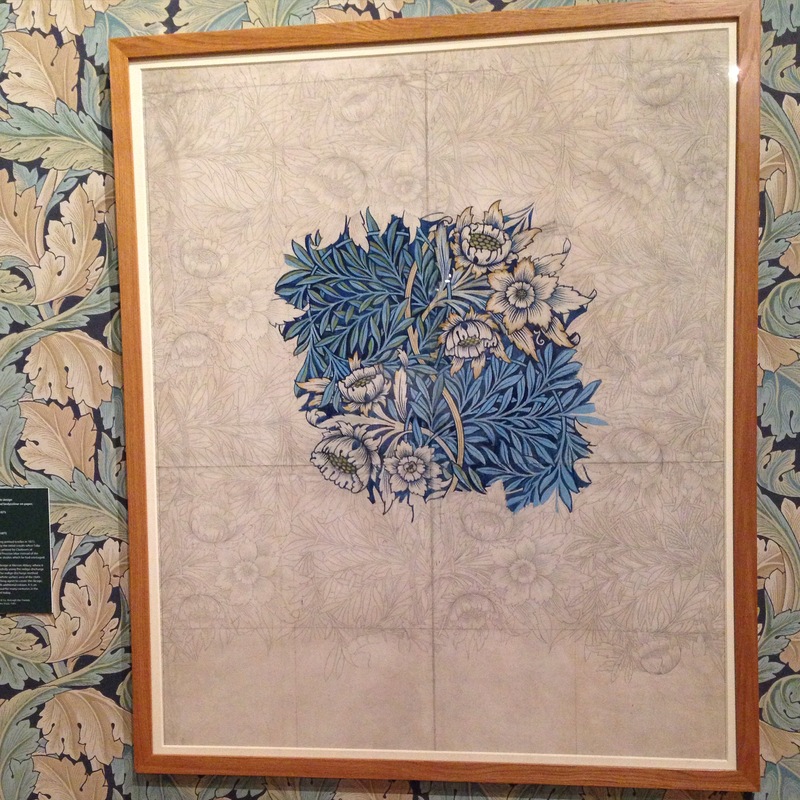 Love Is Enough is on at Gas Hall, Birmingham Museum and Art Gallery until 6th September 2015.